We live in a time where roles such as the “data scientist” were once unheard of, but now they are being hired by companies you would least expect. Convergence of the two major tech areas – cloud computing and big data have with far-reaching implications that are really changing how we work and play. The Cloud computing model, has become an ideal partner for big data, as cloud computing provides unlimited resources on demand. For most companies, Big Data is a collection of records, which is so large that it is difficult to collect, analyze, and visualize the process of using the software on a regular basis. In addition, these data sets are typically disordered. Recent research shows that unstructured data represent at least 80% of the world’s data. This means that many companies are now making critical business decisions, with only 20% of the available data Scary thought, isnt it?. Even more of concern is the fact that Europe is apparently losing the cloud computing innovation battle to North America and Asia, according to a new survey from Informa Telecoms & Media and the Cloud World Forum, taking place on 26-27 June in London. The survey also found that the use of cloud computing is viewed as a key driver of economic competitiveness. Eight out of 10 people surveyed, say governments must provide incentives for businesses to use cloud services – a role for government as important as policing data security in the cloud. But the most active government programs are in Asia, where countries like Singapore subsidize and educate small enterprises to use cloud services. 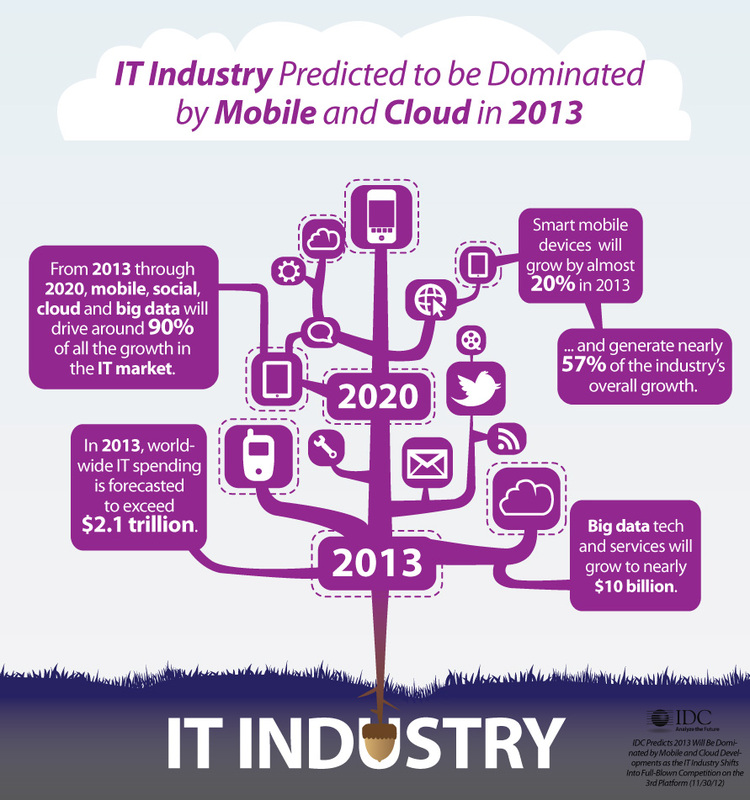 The Cloud will also be a powerful contributor to industry developments. IDC expects to see over $25 billion in acquisitions as cloud services become the centerpiece of more and more vendors’ offerings. As packaged application providers like IBM, Microsoft, and Oracle become software as a service (SaaS) providers themselves, they will increasingly battle with SaaS pure plays like Salesforce.com and Workday for leadership in some of the major application software markets.